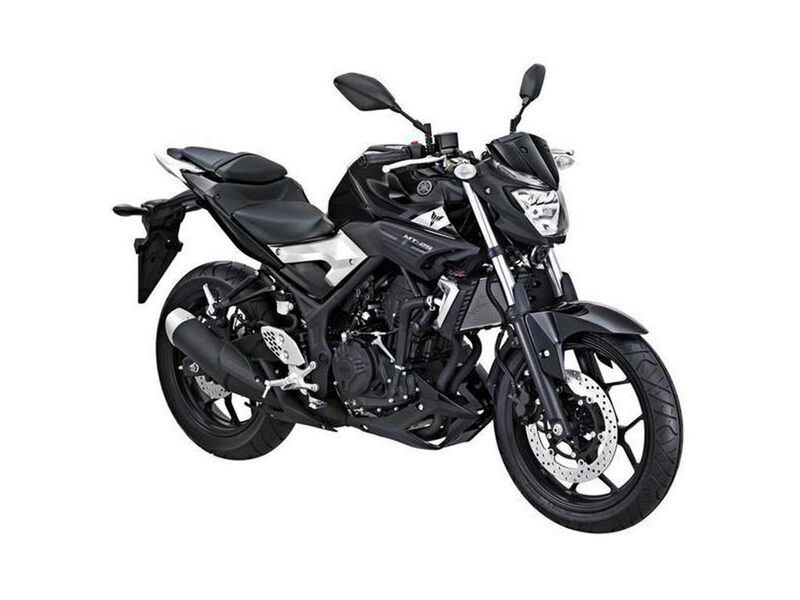 As expected, the Yamaha MT-25 naked street bike has broken cover in Indonesia, thus adding a fairingless option to Yamaha’s small-displacement lineup. As the name implies, the machines is powered by a 249cc parallel-twin engine, the same one found in the Yamaha YZF-R25 sport bike. This means the Yamaha MT-25 is good for 35.5hp, and 16.7 lbs*ft of peak torque. The quarter-liter machine tips the scales at 363 lbs, just one kg lighter than the R25, and include a 3.7 gallon gas tank. Made in Indonesia for most markets (we hear India will have local production), the MT-25 will go head-to-head against bikes the Honda CB300F and Suzuki GW250F, and provide a more upright alternative to the current crop of quarter-liter sport bikes. It is presumed that for the North America and Europe, Yamaha will release a 300cc model, likely to be named the MT-03 (that’s FZ-03 for us Americans), as they did with the YZF-R3 sport bike. Priced aggressively in the Indonesia market, the MT-25 should be a strong offering from Yamaha for price-conscious riders throughout the world. We would expect the machine to come to the US market with a price tag south of $4,500 , of course we will have to wait and see if Yamaha green lights the motorcycle for this side of the pond first.